Galatians 2:1-2 "Then after an interval of fourteen years I went up again to Jerusalem with Barnabas, taking Titus along also. 2 It was because of a revelation that I went up; and I submitted to them the gospel which I preach among the Gentiles, but I did so in private to those who were of reputation, for fear that I might be running, or had run, in vain." 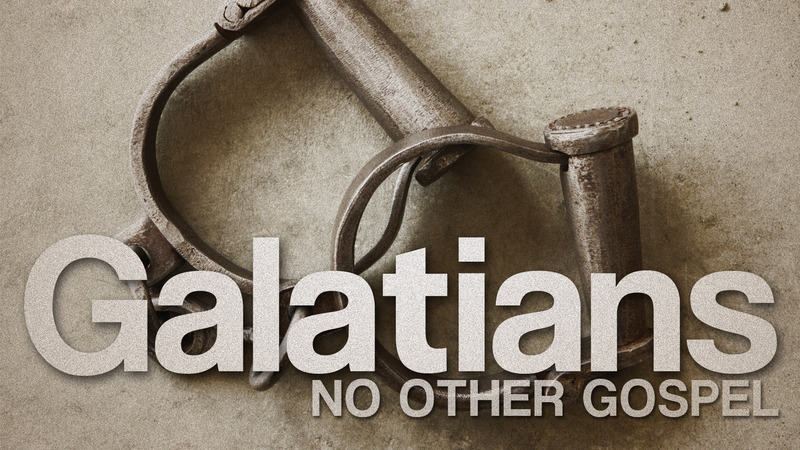 These past couple of days we have been featuring posts from Galatians 2. I have found this chapter in Galatians to be vital to understanding the typical battles that rage over the Gospel in our day and age. Today's post simply offers an outline of this chapter that may be used in communicating this chapter of God's Word. II. Defending the true Gospel against the thief of legalism. The premise behind this chapter in Galatians is to assert the true Gospel of Justification by faith alone. By understanding the true Gospel of Jesus Christ, we will then see the two other thieves - legalism and lawlessness. Legalism or works righteousness tries to earn favor with God through some type of mixture of behavior with faith or prescribed ritual. The second thief, lawlessness, suggests that one can make a profession of faith and live anyway they want. Legalism and lawlessness are the two thieves that steal and leave no hope of salvation. The latter of these two perversions is dispensed with quickly by Paul in an indirect way in Galatians 2:10, since the first perversion - works righteousness, is the more subtle and dangerous of the two. The only way to combat and avoid the two thieves of the Gospel is to receive the Gospel by faith, know the true Gospel, live the Gospel and know the Jesus of the Gospel (hence Galatians 2:20-21).